For those of you freestyle scooter enthusiasts out there who have been living under a rock for the last two years, Lucky Scooters professional team rider, JonMarco Gaydos just so happens to be one of the top competitive freestyle scooter riders in the entire world as of right now. With countless first place finishes already under his belt, and many more to come, it should be fairly easy to see why we have chosen to celebrate this remarkably talented young man by rewarding him for his achievements with several signature products. 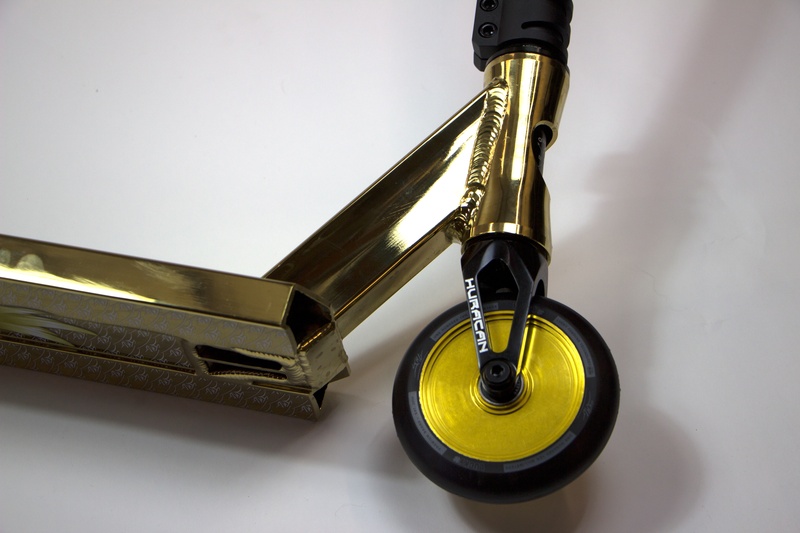 One of which being his ever-popular JonMarco Gaydos signature Lucky Scooters deck, which comes in a very unique solid gold color. 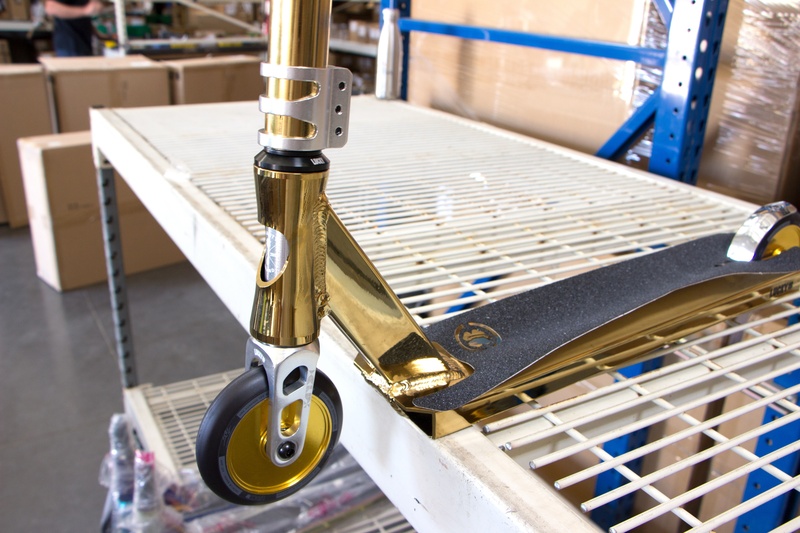 Anyways, with all of that being said, we at Lucky Scooters have finally decided that it is time to endow JonMarco with his very own gold signature wheel to go along with the his infamous signature deck that Lucky Scooters fans have been raving about over the course of the last year or so. With specifications like the ones provided above, it should be quite easy to understand why we at Lucky Scooters are feeling so optimistic about this release of this particular product. If you know who we are and what we stand for as a brand than you should already be well aware that we as a company pride ourselves on our freestyle scooter wheels. 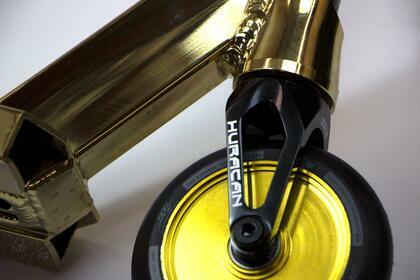 We consider the freestyle scooter wheel to be one of the most important aspects of any great freestyle scooter set-up, which is precisely why we put so much emphasis on the designing, manufacturing, and overall quality of our wheels. Anyways, we could not be more excited about the release of the Lunar JonMarco Gaydos Signature wheel, and we only hope that you love the product as much as we do. The JonMarco Gaydos signature Lunar wheel is currently available at Lucky Scooters for the very affordable price of just $32.95 per wheel, so be sure to snag yourselves a pair while supplies still last. 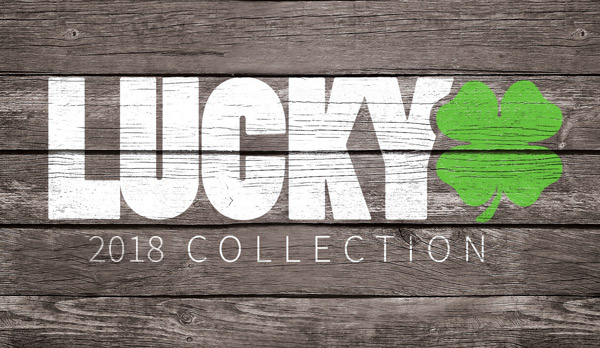 Also, don’t forget to stay tuned right here at the Lucky Scooters blog for more future product information and updates, along with any and all other future Lucky Scooters related news, content, and more. Pick up a set of JonMarco Gaydos sig wheels HERE!